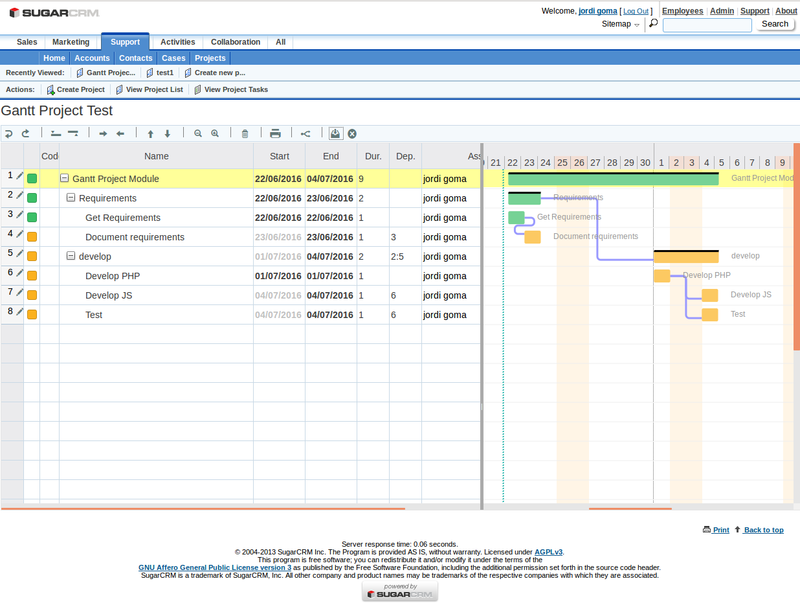 The Gantt Project Module for SuiteCRM gives project managers the tool that they have been waiting for. Now you can plan, coordinate, and track your project tasks using a familiar Gantt chart. Are you used to using Gantt charts to manage your projects? Wished that SuiteCRM had Gantt charts? Well now you can have them! With the Gantt Project Module you are able to graphically manage your projects. Right from the Gantt chart you can manage all of your typical project needs. Manage dates, durations, status, etc. Organize tasks in a work breakdown structure. Use drag and drop to move tasks. Summary tasks can be collapsed to hide tasks which are not important at the moment. 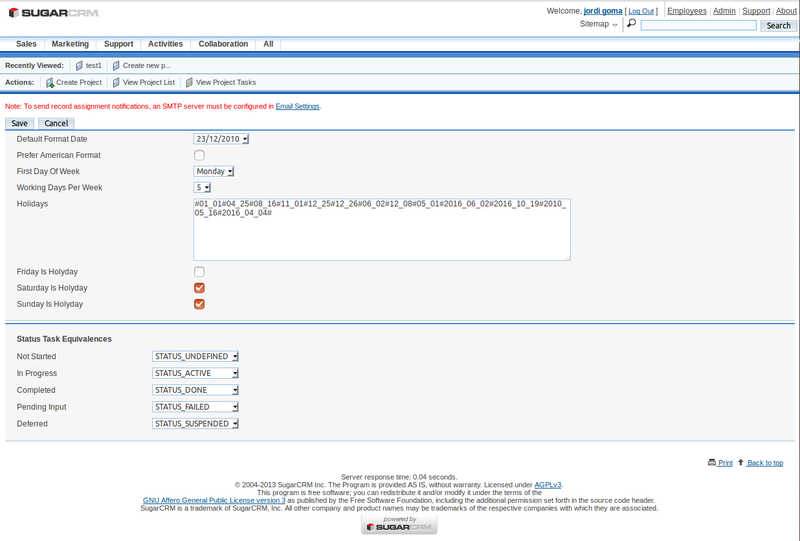 Gantt Project comes with a number of configurable options. See the screenshot below.